So, remember when Mindi wrote that fun post about listening to music to help channel her characters? And you know how lots of authors say they like writing to music? That some even create their own playlists for their books? Confession #1: It all makes me very jealous. Confession #2: Because I can’t really write to music. Whatever the reason, I’ve found I’m most happy with the authenticity of my character’s voice when (Confession #4) I write to TV shows. It certainly doesn’t sound as cool and artsy as writing to music, so there’s that, is something you might be thinking. Okay, true! But allow me to explain. You can’t just choose your TV-shows-to-write-to all willy-nilly, so that’s why there’s a method. A fun method, even. (Fine, fun-ish.) You’ve got to play matchmaker. And your goal? True Character/TV Love. For instance: When I was spending my days on a previous WIP, I wrote to one of my faves, Gilmore Girls. Oof, that scene. ANYWAY. While I’m still getting comfy with Cloudy’s voice, Veronica Mars has the tone I’m liking for her. There’s a sharpness, a toughness to the characters, but they’re also spectacularly vulnerable, and it all comes across onscreen and in the dialogue. That’s what I hope for in Cloudy. Character/TV Compatibility: TBD. But the outlook is good! 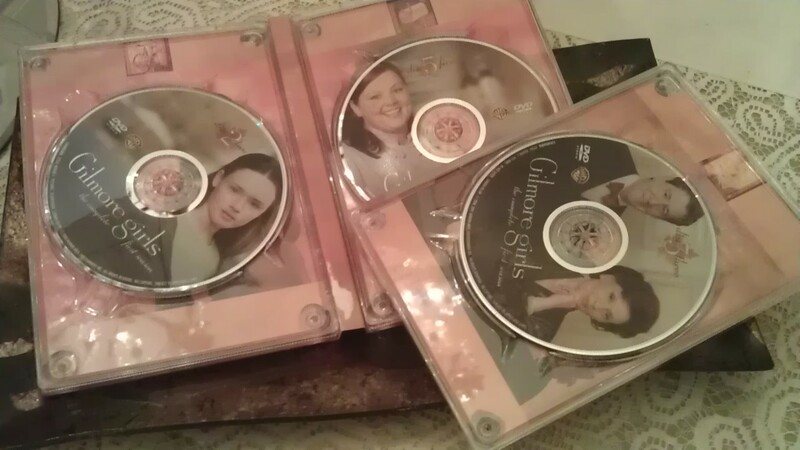 Beware: Your cat may try to sabotage your efforts by breaking your Gilmore Girls DVD set. I am the same way with work. Television is my soundtrack when I really have to hunker down and get something done–I rewrote a client’s entire website while re-watching season two of FNL, actually. 😉 It kind of make me feel like an ingrate that TV is what works for me, so it’s oddly comforting that I’m not alone. I really think this is cool, Michelle! It honestly makes me want to try it and see if it might be more effective than music. I just don’t have a TV upstairs where I write. Hmmm. You and I have something in common. I cannot write to a music either! 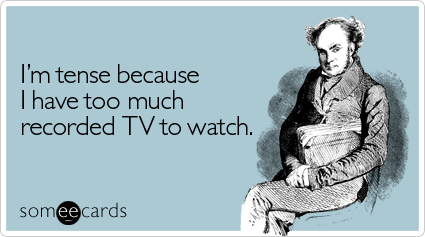 I need the TV in the background – depending on what I am writing – I watch a show or movie with the same theme. When an essay was due for college, let’s on China (early civilizations), I’d have “Memoirs of a Geisha” or The History Channel, or something else like playing. If I’m concentrating on fiction and it’s fantasy, then that’s what’s playing on the TV. It works! It does! I think TV and movies can really set the right atmosphere, just like music. There’s something about the tone of it, I think. I don’t know! I was at a book signing last week, and Gretchen McNeil (a YA novelist) said she loves writing to sports on TV. She said she likes the background noise of it; how you really only need to pay attention for a few seconds, then can go back to your work. So interesting!